We're always available for consultation, advice and location scouts. 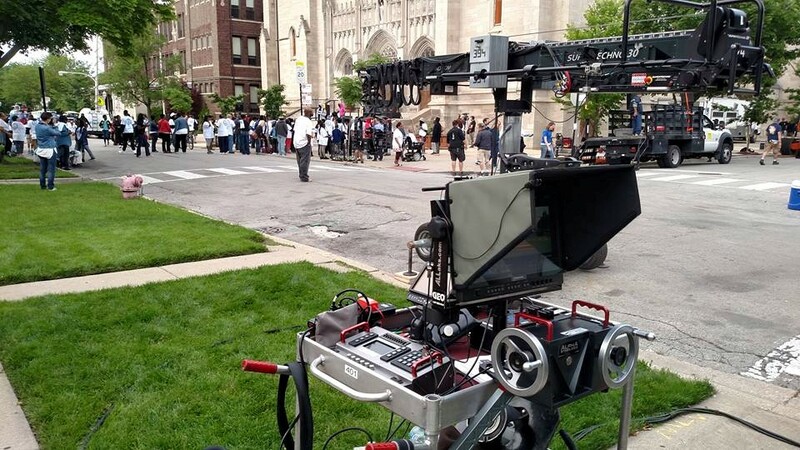 The next time your production brings you to Chicago, Illinois, or anywhere in the Midwest, feel free to contact us. We're happy to speak to and work with the production and technical crew regarding the needs of your specific setup. We've been moving cameras since 1989 so it's likely we've had experience with any kind shot you're planning. 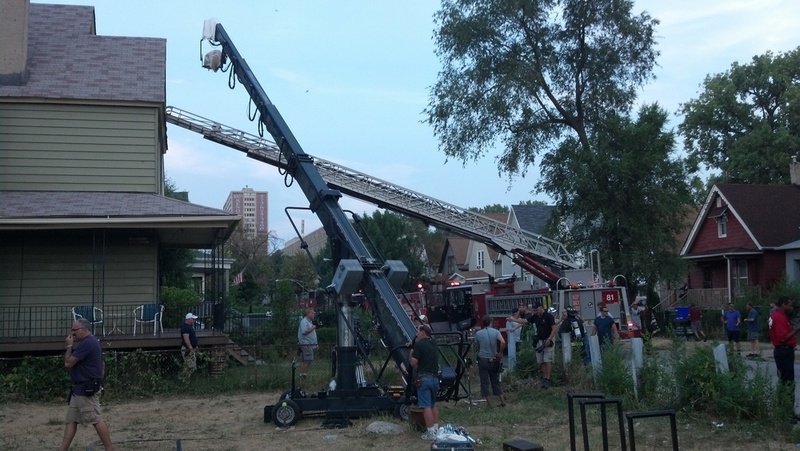 Camera Cranes are used increasingly often to create dramatic establishing shots, to follow the action through and around a space, and to create a sense of surreptitious movement that draws the viewer into the scene. A Jimmy Jib Triangle provides a fixed arm length (6ft-40ft) in 6ft increments. Technocranes have the ability to telescope as well as raise and lower their fulcrum, which makes them incredibly versatile. 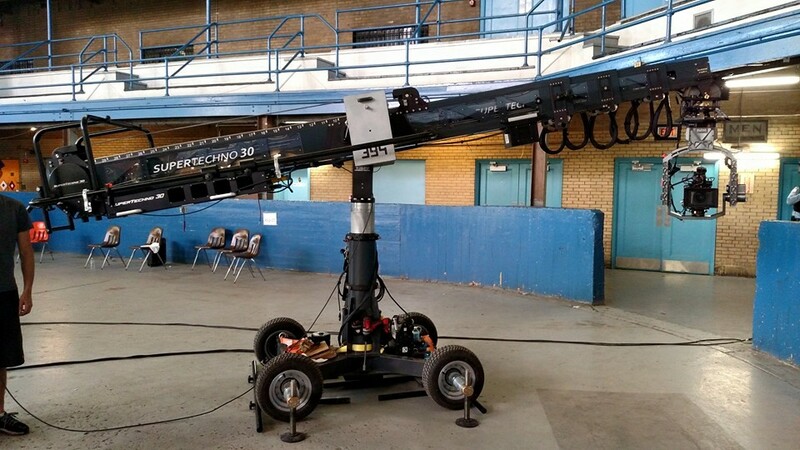 Telescoping the arm can act as a dolly, and the ability to place the camera virtually anywhere within the Technocrane's radius makes finding and executing the shot a piece of cake. Some specialty gear or extra equipment may be required for specific circumstances, but our philosophy is to provide a complete “turnkey” package to meet every requirement for any shot. A Remote Head allows remotely controlled operation of many or all of the camera functions (pan, tilt, focus, iris & zoom) to allow for shots that would otherwise be difficult or impossible to accomplish safely. Remote heads can be mounted to a crane, dolly or to a fixed mount. Operation interfaces can be film style "wheels" or via joystick. Both types can be used for either Video or Film cameras; the interface will operate the head function independently of the type of camera mounted to the head. The camera operator usually dictates what type of interface he/she will require. Motorized Lens Control units allow the Camera Assistant/Focus Puller to control focus, iris, and zoom without having to be right next to the camera. This is ideal when the camera is on a crane, or in a place where it's not easily accessible or unsafe for the operator and assistant to work from. Digital motors mounted to the iris rods turn the focus, iris and zoom lens rings. Fully wireless control permits the Camera Assistant/Focus Puller to work alongside the Camera Operator no matter where the camera is positioned. Camera Operators tend to use the classic “Wheels” interface, which is standard for the Film Camera Operator. 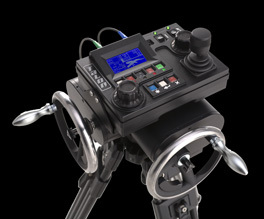 Joystick control is becoming an increasingly popular option for operators as well. For the Broadcast Camera Operator, an integrated Joystick control desk manages all of the remote head functions as well as focus and zoom, and camera on/off.